. 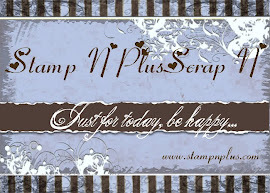 . . . . Sweet Sentiments . . . .
Hello, and welcome to this stop on the De Nami Simply Scallops Blog Hop. 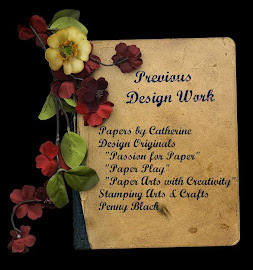 You should have arrived here from the very talented Sue Lelli's Blog. Sue happens to be a very dear stamping buddy of mine and in addition to being a wonderful stamper, she is also a super person who uses her stamping talents to benefit the community through various projects. If you happened here by chance, and would like to start the blog hop from the beginning, you can go to The De Nami Blog. For my card, I used some bird images that I purchased years ago. I have used these birds many times over the years on several different types of cards, as they are pretty generic. 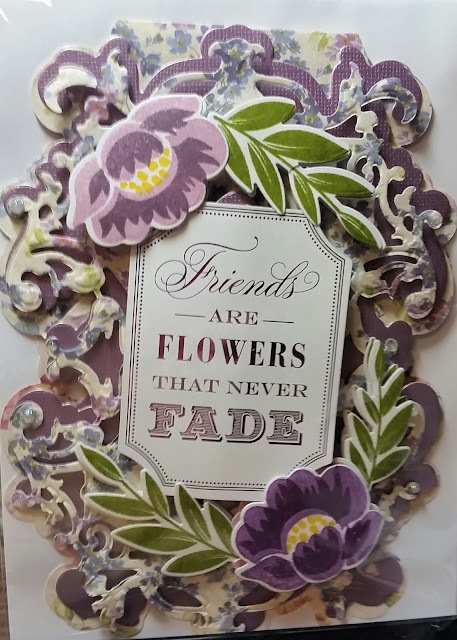 For this card, I stamped and embossed them in silver on blue textured cardstock and layered them on silver cardstock which was cut out with a scalloped die. I added more scallops with a border punch. I cut two strips with the border punch and overlapped them. The silver around the outside edges of the card was done with a silver marker. 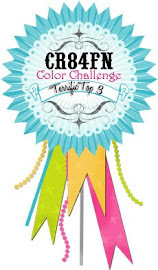 Your next stop on our blog hop is Tenia Nelson's Blog. Enjoy! This is a lovely card. I like the color combination of silver and aqua. Thank you for sharing your work. Very very pretty. I love this card. This is one of those cards you could use for alot of stuff. Weddings, baptism, etc. Great job. Thanks. Very elegant, glad you participated in the hop! What a stunning card! I love that silver scalloped layer! Oh my - how pretty!!! Love your use of scallops and the silver scalloped circle behind the fabulous doves!!! Lovely!! So glad you hopped along with us! Such a elegant card! Love the colors too and the scallop! Thank you for sharing! This card is VERY pretty!! I love the birds and the silver together...it could be a wedding card or baby shower card....VERY nice!! Love the border. This would make a great wedding card. I just LOVE your card! The silver scalloped background is so strinking and the colors are GORGEOUS! LOVE the doves and the scallops, too! FAB card! So elegant! I love the soft romantic colors :)Very pretty!! Love the scallops and the embossing - Thanks! Love the shine and the pretty pink chests on the birds! Your card is beautiful! I love the aqua color, so soothing for those doves. Great job! Such a pretty card! I love all of the layers and the touches of silver!!! What a great use of silver/shiny - thanks! What a pretty card. There are all kinds of layers to look at. Nice job. Beatiful and elegant! It's a great color combination. Very pretty card. Love all the detail. What a beautiful color combo. perfect for so many occasions. Such a beautiful and elegant card! Beautiful card! I love the colors and the textures! What a lovely monochromatic card! So many textures and layers. Beautiful! Such an elegant card - perfect for a wedding or anniversary! Beautiful ... love your scallop punch. TFS! Blue and silver, how lovely! Great use of the scallop punch. Love how you alternated the scallops. Beautiful! Love this color combo. Wow, I never use blue for anything, but I may have to try it after seeing your card. The colors are the card are very pretty. TFS. great use of texture and colour. lovely card. So fun to see these stamps used! The way you added the scallops on the side was absolutely perfect. Great job on your card! Lovely card. All the elements work great together. Love all the layers of dimension on your card! Clever use of scallops. Very pretty card! I love all the texture in this card - beautiful. Great card. Colos are really nice together. Thanks for sharing. my fav card so far! love the color and scallops with the adorable birds. Wow! Love the elegance of this card. The silver is such a wonderful choice and the details are amazing. I love silver/aqua color combination. Thank you so much. Beautiful creation! Wow this is very special! A wedding card??? I'd for sure love to have rec'd that for my wedding last June!!! Wow such detail and sparkle. Love your use of so many textures and of course scallops!! Tfs!! gorgeous card! I love the colors! =) Thanks for sharing! Such wonderful embossing details on this card. Very elegant and pretty! Love your use of scallops too! Very pretty--I like how your layered the border scallops. This is a very pretty card! I love the colors & the shine to it! very pretty! i love the colors and the scallop edges! I love these colors and the layered scallop is gorgeous! Love the detail with the embossing on the birds! Beautiful scallops! Love the embossed scalloped circle! This is very cute. I appreciate all of you for sharing with us.